School supplies are everywhere right now. There are rows of overly packaged, plastic pens, pencils, and folders. You can't deviate too much from the provided school supply list in elementary, but things open up a little in middle school, high school, and especially college. 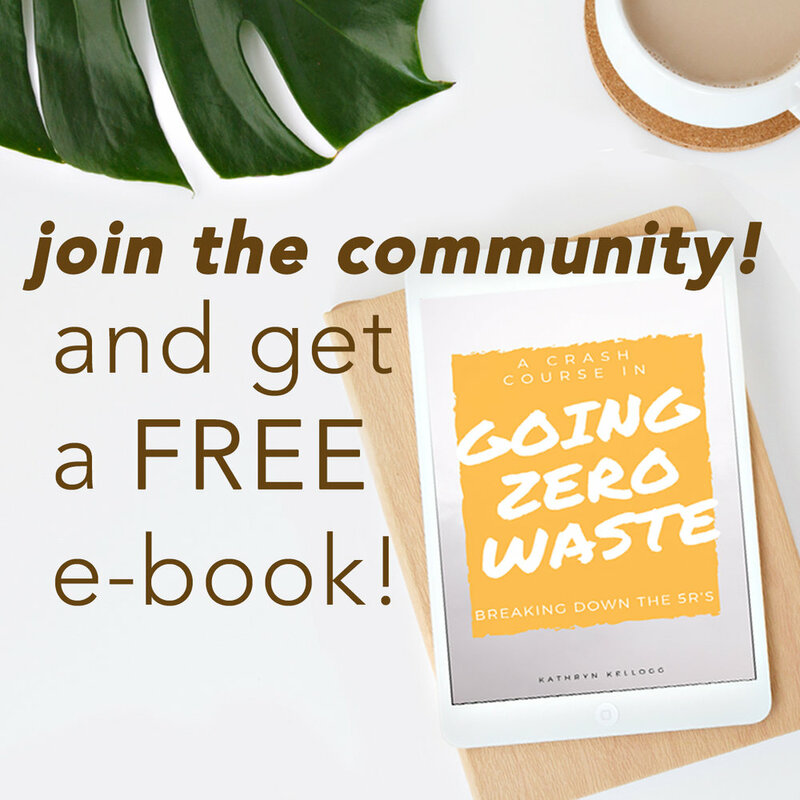 Top 5 Tips for Buying Zero Waste School Supplies. I read several school supply lists to figure out the most common asked for school supplies. Most lists used the 5 tabs/binder method. I hated the the binder method. I ditched the binder in high school for a folder and notebook system. I was so happy to be rid of the binder and hole punching. I'm left handed. School supplies/desks/scissors - it's tough being left handed. I'm going to start this post by saying I'm not a teacher. If you're wondering why you should buy something, just ask. If they ask for glue sticks, buy glue sticks. If they ask for notecards, buy notecards. There will be some disposable items you can't avoid. And, that's OK. I'm just offering suggestions for school supplies that should last a very long time and disposable items that have a better end life than the landfill. You might be surprised if you pop into your local book store. They typically have specialty items and sell them loose. It's where I bought some really high quality notebooks made from 100% recycled paper in the past. It's also a place you can find things like loose pens or pencil highlighters. This place has lots of paper. They typically have loose items like markers, pencils, and pens. It's a little bit pricier than other options, but it doesn't hurt to go check it out. If you're in college go check out your printing department. Ours sold blank sheet music a requirement for music theory unpackaged for $5. The also sold notebooks of scrap paper. If you can't find what you're looking for at any of the other stores, then head to a big box store or shop online. 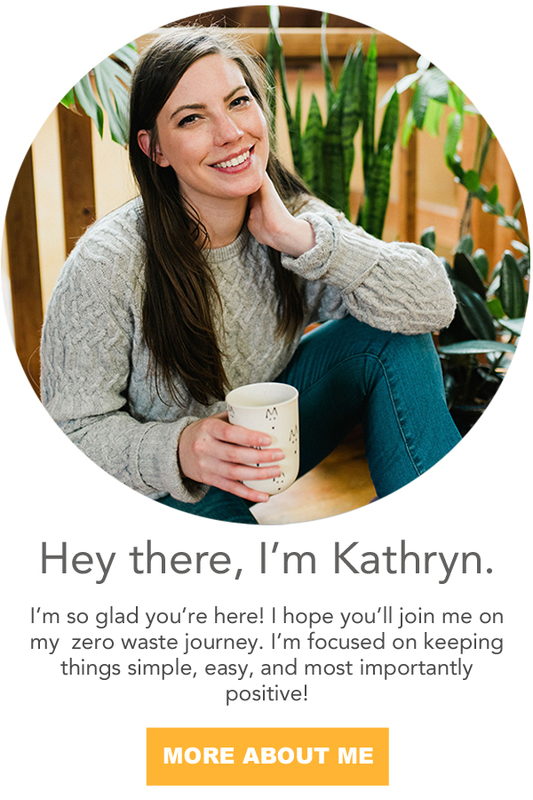 You can ready all about zero waste online shopping here. I've compiled a list of common middle school and high school school supply lists. I'm doing my best to offer more eco friendly items. This is a school supply that can be used year after year. I still have my backpack from the the 8th grade. It was a very well made Ralph Lauren backpack. I just took it on my camping trip and it's been with me on every flight as my carry-on. If you're looking for a backpack, messenger bag, or laptop bag lean towards something that has a lifetime guarantee like Kippling* or Jansport*. These are great items to find second hand often times they'll still honor the warranty. This is another item you should only have to buy once or twice K-12. In college you don't really need a lunch box. Although hindsight, having a little metal tiffin to keep in my bag would have been a great idea. I could have snuck out a lot of cookies. There are tons of stainless steel lunch boxes on the market these days. Stainless steel is a great option because it's light, you don't have to worry about it breaking, and it will last forever. And, after forever has come and gone it's 100% recyclable. I have this eco lunch box*. I like it because it's small and super easy to transport. It doesn't hold a ton of food. I can fit a sandwich and a side salad easily. I also have this metal tiffin from Clean Planetware*. I bought this for Justin. It has four tiers and easily fit snacks, breakfast, and lunch. It has a convenient little handle so you can just grab it and go. This lunch box looks awesome for kids. It's called a Planetbox*. You can change the magnets out so you can have new design each year. I remember being in elementary school and getting to choose the design of my lunch box each year was a real treat. Also, how good does that lunch look?? Pencils typically come in cardboard. You can recycle it or throw it in the compost. These Paper Mate Erasers* look like a pretty good option. I personally like pens more than pencils. The erasers on top of pencils never seem to work very well making a separate eraser a necessity. Plus, with a box this big you should be set on erasers for the rest of your life. These come loose inside of a cardboard box. No plastic - yay! I'm so confused... Do schools not have pencil sharpeners in the classrooms anymore? Those little ones you keep in your book bag hardly work anyway. I'd just get an electronic pencil sharpener to keep at your desk at home and sharpen your pencils before you go to school. Colored pens were never a requirement when I was in school. I was very partial to the Dr. Grip pens. My mom would buy me one at the start of each year. You could buy refills, but they come with plastic on them. Buying refills is better than buying new pens. I recently got a refillable fountain pen*. I was very skeptical being left handed, but the fountain pen forces you to hold the pen differently. You don't run your hand through the ink. I honestly wish I had a fountain pen sooner. They are great for lefties! The ink* comes in a glass bottle. Once I'm out of ink, I can recycle the glass bottle. They make pencil highlighters* now. These are awesome. You don't have to worry about them drying out and they last years! When you're done with them you can compost the stubs. You can compost the paper they come in too. I don't know of many zero waste marker options. But, Crayola offers a marker recycling program. If your school doesn't participate you can sign up here. It's very simple. You just put all of the dried up markers in a box. Crayola will pay for the shipping. They'll separate the markers, melt them down, and use the recycled product to make new markers. You can buy colored pencils in cardboard boxes*, tubes*, or tins*. Opt for one that's stainless steel, it should last forever. These are some quality scissors. * They're 100% stainless steel so they're 100% recyclable. But, they should never need to get to that point. They can be sharpened and kept forever. They're about $8 more than their plastic friends, but I think these are worth it. They provide a much better cut and have greater longevity. I don't know how many households don't have hundreds of these lying around. They can be used pretty infinitely if you're diligent in loading and unloading them. I would check eBay for this item. That's where I got my TI calculator. Then after you've gotten through college algebra - sell it. you will never use it again. Some people love note cards; it's how they learn best. They're not my favorite. I like to write a question and answer on a piece of lined paper. Then I use another piece of paper to hide the answer. It's a similar effect. I've only seen note cards wrapped in plastic. They make some really awesome recycled folders* now. Also, these are a huge bargain! 25 folders that come in a box, for $14. These should last for a couple of years. You can throw these in the compost when you're done or recycle them. I'm a fan of just the craft color, but they come in several different colors if you're interested. This is my favorite school supply, and something you'll need to buy every year. I love notebooks. I would use one notebook for two classes. I'd start the first class on the opening page and start the second class upside down on the last page. I like this moleskin journal. It's called a cashiers journal*, and it's fairly inexpensive. A set of three is only $10. I'd buy two which would last me at least the whole semester. It has a pocket where you can store loose paper. The cover is made from paper, and the spine is sewn with what appears to be twine or cotton making the entire book compostable. People are also saying that ink doesn't bleed through the pages. Which is essential when you're writing on both sides. Save those trees! This book is a little bit on the pricier side. But it's so much fun! I had to include it. It's a riff on the traditional composition notebook. It's called a DeComposition notebook*. The whole thing has darling little doodles. It's printed with soy inks and made with 100% post consumer waste. After you're finished with the book it's completely recyclable. This is definitely the most economical of the three. It's a set of five Mead journals*. I've never been a fan of spiral notebooks... probably the left handed thing. I'm not sure if the spine is recyclable or not. I was trying to research what it was made of, but I couldn't find any answers. I don't know if there's really a way around buying paper without the plastic wrap? You can find three ring binders* in different sizes made from recyclable cardboard. Some even come with the tabbed dividers*. What's cool is the rings are detachable. So you can cut out your own piece of cardboard for the next year. I remember these things never lasted very long. But, I couldn't find any alternative to the classic plastic hole punch*. I guess just hope for the best, and pray that it lasts long enough to use for a couple of years! Ok, but once again, why do we need a tiny stapler? They only time I can think of stapling a page is to turn in a paper. Couldn't you have stapled it before you went to class? If you had to have something portable, I would get one of these cute staple-less staplers. * It makes it easy to recycle or compost your papers. And, last buy not least - book covers! I remember my favorite book covers from middle school. I had a neon purple one and a cool green and blue marbled one that resembled the nervous system. They still make these book covers called book socks! You can use them year after year. I hate that they come individually wrapped in plastic, but I couldn't find many other options. A couple of readers have suggested wrapping your books in brown paper. If your school will let you wrap in paper, that's a great option! This concludes my ultimate list for back to school supplies! Leave me a comment with what's on your list that I missed and how you're handling it? Or maybe you have a better solution for something!